Jackie Huntoon and Chris Wojick of Michigan Tech describe their institution's two-week field camp experience for in-service Earth science teachers which began in 1999. The course focuses on helping the teachers focus on the process of doing science and building knowledge and skills sequentially. The use of podcasts to deliver lectures both prior to and during field experiences has been a positive experience for author Lawrence Rudd of Nevada State College in Henderson, Nevada. 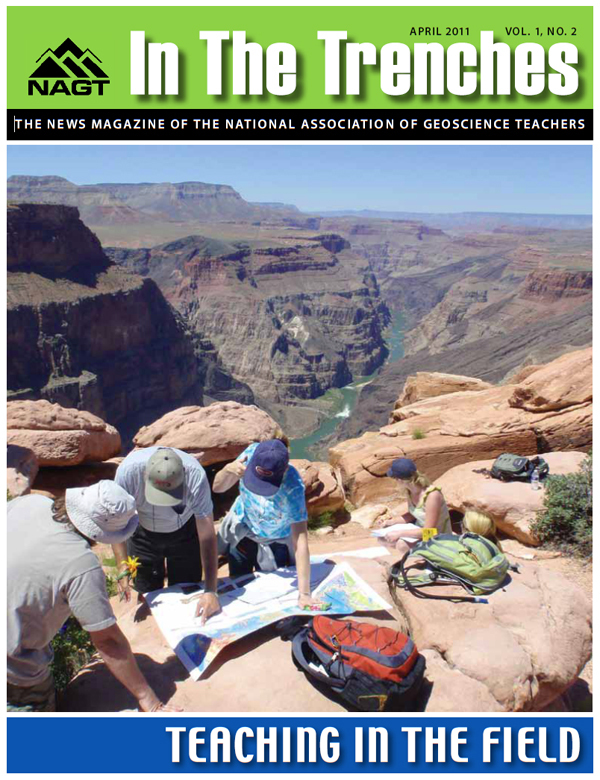 The authors describe how a focus on "big ideas" can help develop the skills of Earth science teachers and begin to address a critical shortage of geoscientists in the workforce. 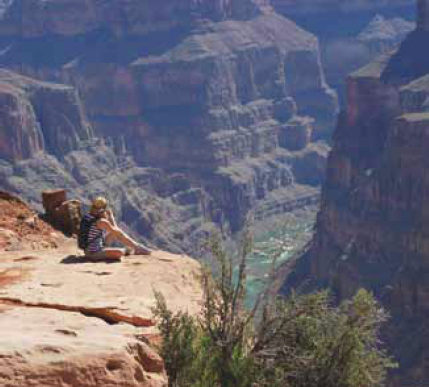 NAGT, its members, and its sponsored projects have been engaged in other activities to help improve teaching in the field in geoscience classes. 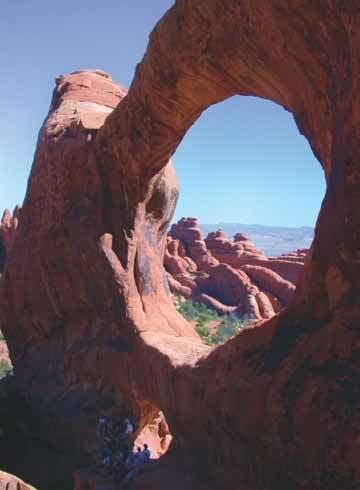 Teach the Earth is the portal to a large collection of teaching activities and pedagogical materials related to geoscience that have been developed by several dozen projects. SiteGuides are a way of seeing materials on a particular topic regardless of which project developed them. Each Site Guide tackles a particular topic of interest to educators and highlights relevant resources. The Teaching in the Field SiteGuide provides links to field guides and activities, as well as resources and information for teaching effectively in the field. This part of the NAGT website aims to promote models for effective educational field trips to geoscientists and provide an archive of field guides furthering the ability of K-12 teachers, faculty, community groups, and others to lead scientifically accurate, pedagogically effective field trips. The Montana-Yellowstone Geologic Field Guide Database is a pilot project for making the field guide literature more accessible and useful to geoscience educators, students, and researchers. Despite the importance of published field guides and road logs, most of the publications of this type are part of a "gray literature" that is not widely distributed or even still available. Faculty can use the searchable database to discover field guides, road logs, and research results for areas around Montana and Yellowstone National Park as well as teaching activities linked to particular field areas. In honor of Dorothy "Dottie" Stout's outstanding work and lifelong dedication to Earth Science Education, NAGT awards grants to faculty and students at 2 year colleges and K-12 teachers in support of participation in Earth science classes or workshops, attendance at professional scientific or science education meetings, participation in Earth science field trips, and purchase of Earth science materials for classroom use. 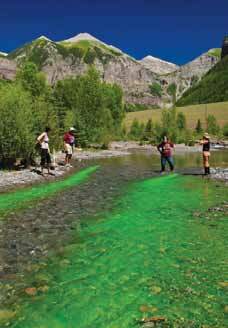 Share curriculum ideas with other geoscience educators in the peaceful setting of Sinks Canyon. Followed by an optional, two-day field trip. Contact Suki Smaglik (ssmaglik@cwc.edu) for details and watch the North Central Section Website for more details as they become available.